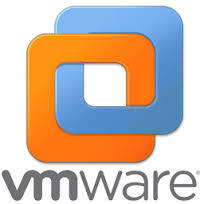 CyberKeeda: How to install VMWare tools from rpm using VMWare repository. How to install VMWare tools from rpm using VMWare repository. We got this requirement, when our Linux beginners folks tried to install the vmware tools from source / tar ball, they went through a lot of difficulties. Everyone is not so comfortable while installing any application from source code, and some times i too went through a lot of challenges , the best fix is find the relevant RPM fro it and install it from one line command at all. Somehow, i managed to find the vmware-tools repository from vmware itself. And if your linux box has not access to internet, download from the corrosponding repos from your desktop and copy it into your linux box. Once you have the packages, you can simply install it from rpm command line. It might ask for dependencies too, you can find the dependencies from the same link , download and complete your installation.